Ever since the days when vinyl records and radio waves first transported mountain music to audiences across the country, Western North Carolina recording studios have been a silent partner in nurturing our area’s growing recognition in the music world. In recent years, the people running the soundboards and foam-padded rooms tucked inconspicuously around Asheville have quietly earned their reputation—and dare we say, created a scene—by helping so many local bands sound their best and attracting international talent. The past year has brought some big announcements from the local recording business. Robert George, a producer, recording engineer, and drummer, is building a state-of-the-art facility, Sound Temple Studios, in West Asheville. He expects it to open in August. And Moog Music, the Asheville-based company that carries on the inventive work of the late electronic-music pioneer Bob Moog, recently announced plans to move its factory from the current location beside the French Broad River to a building downtown on Broadway Street, where the company intends to build a new recording facility. Meanwhile, some of the area’s professional studios are doing a brisk business, recording soloists and groups whose styles span the soundscape. The engineers and producers working the soundboards usually don’t see much of the spotlight, but they’re often the force that pushes tunes to perfection. Here are three studios whose work is helping to keep the beat alive. When Jessica Tomasin, studio manager for Echo Mountain Recording, answers her phone, she never knows who might be on the line. But she’s getting used to hearing from some of the biggest names in the business. A local musician called a few years ago and asked, “Can John Paul Jones stop by?” (yes, the guy from Led Zeppelin). Someone else wanted to bring in a member of supergroup Aerosmith. Another had a friend in hip-hop legends De La Soul who wanted to visit. A couple of months ago, soul revivalists Sharon Jones and the Dap Kings stopped in to make a recording on the quick before a show in Asheville. In each case, Tomasin was happy to oblige. Those encounters are part of the routine at Echo Mountain, which, in four years, has established itself as a multifaceted musical juggernaut, supplying the studios of choice for bands. It’s been a remarkable growth spurt from the get-go: First, there was “The Church,” a 6,300-square-foot refurbished Methodist place of worship in downtown Asheville where the sun now spills rainbows on musicians cranking out songs beneath the original stained glass windows. Owner Steve Wilmans opened the joint in 2006, and for all its wonders—the classic architecture, airy rooms, and top-notch analog and digital instruments and recording consoles—it wasn’t enough for him. So he kept building Echo’s infrastructure. Today, Echo’s endeavors include a second, neighboring battery of studios that consume three stories and 9,600 square feet. Plus, the company offers two plush guest houses for visiting musicians—one in the historic Montford neighborhood, and another two-and-a-half miles out of town in a country setting. And then there’s Studio B and Studio L—two adjoining facilities offering low-cost recording and editing space. To top it all off, a few blocks away, along with business partner Mike Healy, Wilmans recently opened the Lexington Avenue Brewery, a gastro pub that boasts its own beer, a cozy listening room, and a budget lodging option, Sweet Peas Hostel, on the second floor. Collapseable Studios has been laying down tracks for almost a decade. Born in a couple of crowded apartments, the studio took up shop in a spacious West Asheville brick building that previously housed a grocery and an antique store. “It has always been the kind of place where you can walk in and get what you need, and that’s still true today,” says Collapseable founder and co-owner Aaron Price. Collapseable’s expansive recording hall has served as an ideal space for acts ranging from solo instrumentalists and small bands to large drum ensembles and 20-piece jazz orchestras. 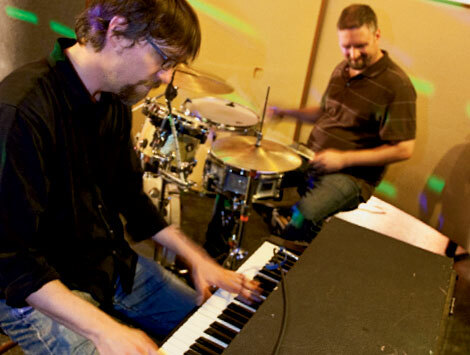 Over the years, the studio has earned a reputation as a resource for Asheville bands. You’ve heard the stories of bands constantly being on the road; well, here’s a studio that can keep up with them. Georgia native, Laine Pierce relocated his home-based Starlight Studios, featuring high-end equipment in a casual setting, from Atlanta to Barnardsville in 2004. He moved the whole shebang again two years ago to his current residence in a remote, wooded cove in Leicester. And while he still records there—in several spaces, including a living room with a 22-foot-high cathedral ceiling—he recently put Starlight to bed and launched Audiorobot, a mobile studio recording venture. His ability to roll with differing projects has served him well on his previous productions, which include work with Grammy award-winning artists, along with plenty of outstanding local and national talent. This 25-acre retreat-turned-recording studio offers a relaxing atmosphere with mountain views and state-of-the-art recording technology. Hillcreek has produced work from Chuck Beatty & Co., Francis Soyer, and Steve Taylor, and is specifically built to accommodate artists working on long-term projects. The complex has three private homes loaded with amenities for artists and their entire entourages. From recording live shows to mastering and tracking the newest tunes from musicians from across the country, this studio offers a wide variety of services for its small size. Aside from recording, Blantone also does VHS to DVD conversions, and can transfer nearly any recording to CD. This small studio in downtown Burnsville echoes the legacy of its namesake artist. Lesley Riddle, a Yancey County native, helped teach the Carters how to play and sing traditional folk and bluegrass songs. In 2007, the Traditional Voices Group opened the studio, which can be rented by the month and features the latest in recording technology. 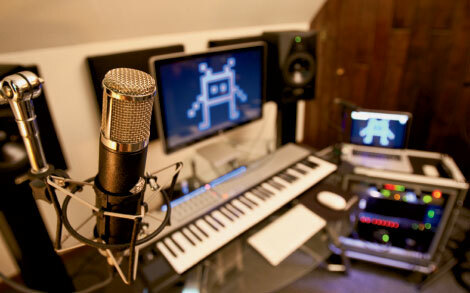 This small studio makes it a point to stay away from recording just one type of music, instead learning to adapt equipment and recording styles to the genre of the artist. 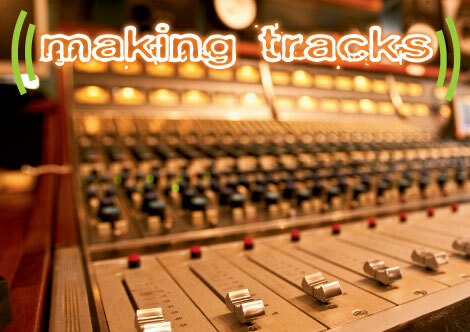 Giraffe offers a full-service studio for recording anything from a full-length album to the drum track for a solo project.